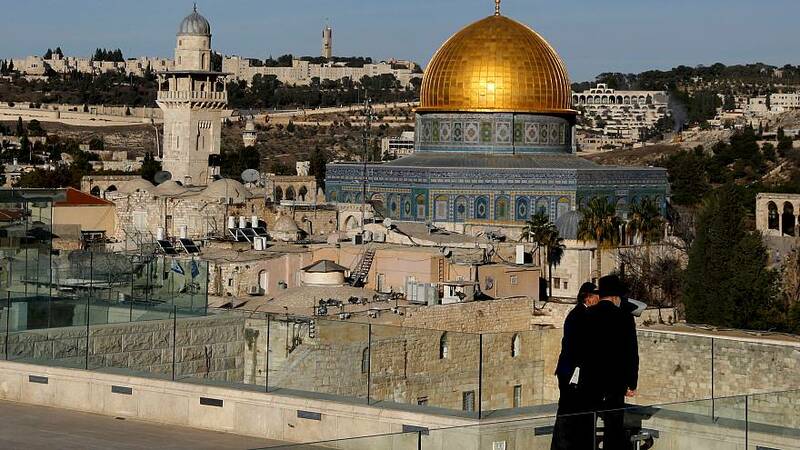 In Jerusalem, Israeli troops are out in force this Sunday as the fallout continues over America's decision to recognise the city as Israel's capital. Several people were arrested on Saturday as police clashed with suspected protesters on the third "day of rage." Scuffles also broke out between Israeli forces and Palestinians at protests in Gaza and the West Bank. Palestinian protests were less intense than on the previous two days. About 60 Palestinian youths threw stones at Israeli soldiers across the Gaza-Israel border. At least ten people were wounded by Israeli fire. In the West Bank, Palestinians set fire to tyres and threw stones and fire-bombs at Israeli troops, who used tear gas. The Israeli military said one protester was arrested. Israeli air strikes in Gaza killed two Palestinian gunmen on Saturday after militants fired rockets from the enclave into Israel on Friday.